So me and the misses went down to the Outback bowl and while we were there, we decided if she gets a new truck I get a toy. 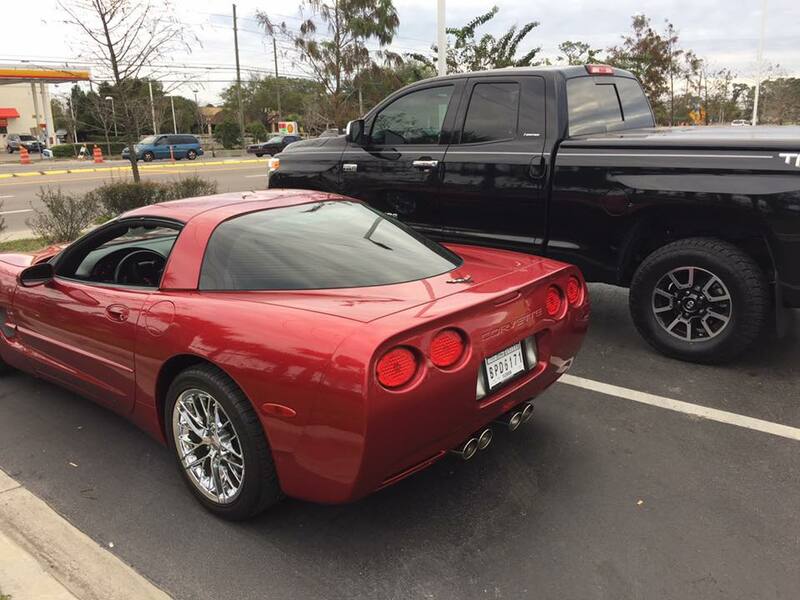 So I found this cherry picked Corvette. Only 50K on on her with a 6 speed. Runs like a bat out of hell. Z06 skirts and modified LED lights on the rear. I had to have it. I need a toy for those off days. So we drive back big truck and little car. Fun trip back from Tampa. Great Vols win and great toy to pick up.